Mother is launching designated design unit Mother Design in the UK, a decade after it opened doors in New York. The independent agency has over the last 18 months been providing design services to select clients, including Diageo, Coca-Cola and Nike, as part of Mother London. But it will now form a standalone agency that will pitch for an increased number of its own clients. 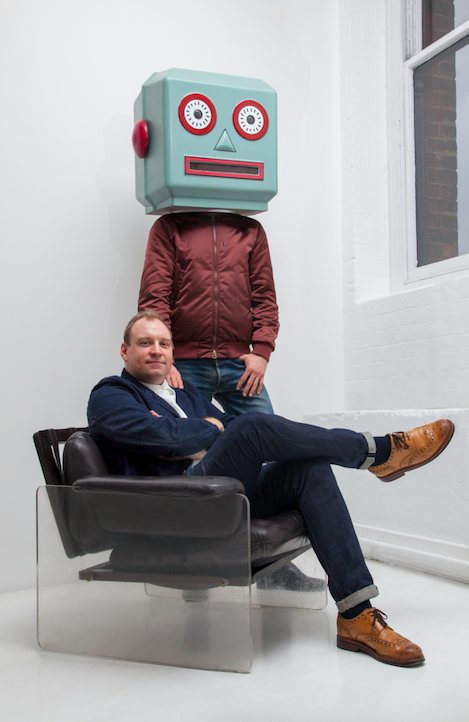 Mother Design London will be led by strategy director Dan Broadwood (right, seated) and creative director Christian Cervantes. Broadwood, who started his career at McCann London, joined Mother in 2009 and became strategy director for the design operation in 2015. He has worked on repositioning Stella Artois and PG Tips. Cervantes joined Mother New York as design director in 2010 and moved to the London office in March 2015, where he became creative director. Before Mother he worked for Ogilvy & Mather’s Brand Integration Group, Interbrand, Saffron and AR in New York. His work includes designing the identity for Coca-Cola Zero while at Brand Integration Group. Mother Design will be based in Mother’s office in Shoreditch and remain closely linked to the advertising side of the company. A spokesman said it was pitching for multiple pieces of new business. Mother global chief executive Michael Wall said: "Christian and Dan are a tremendously talented part of the family. "They've been leading the design in the agency, for both our existing clients as well as their own, for a while now. This is a natural and good moment to put some focus behind our high level capabilities in design as a practice in its own right."